I love to adding a watch to complete an outfit. Of course, a time piece is always practical. In this digital age, we often rely on phones and devices to tell us the time. But there is something classic and lovely about wearing a watch. 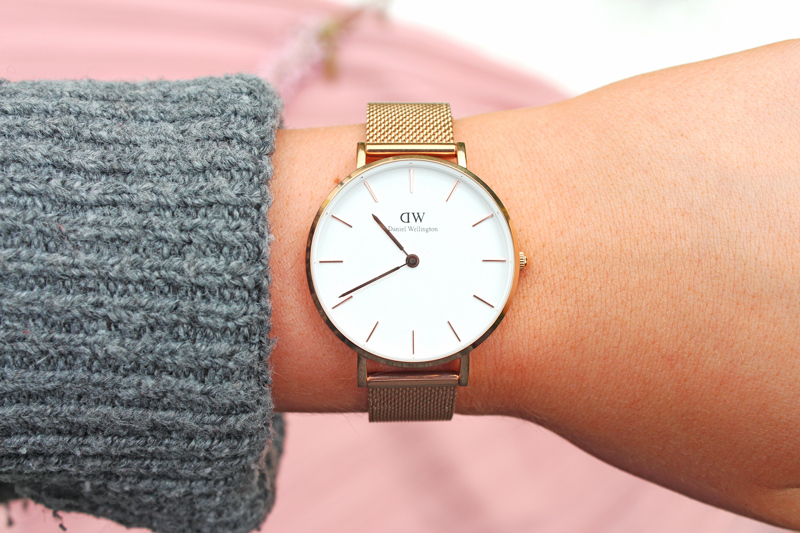 Today’s post is a collaboration with Daniel Wellington, who very kindly gifted me one of their beautiful watches and offered me a discount code to share with you all! Their watches are minimal, classic designs. For both men and women, their watches are well-made and elegant. I have admired their beautiful range for such a long time, so it is very exciting to be able to share this blog post with you. I have the Classic Petite Melrose watch. The face is 32mm, which is a perfect size for my wrist. I have both larger and smaller faced watches too, but this is a very flattering size, just right. 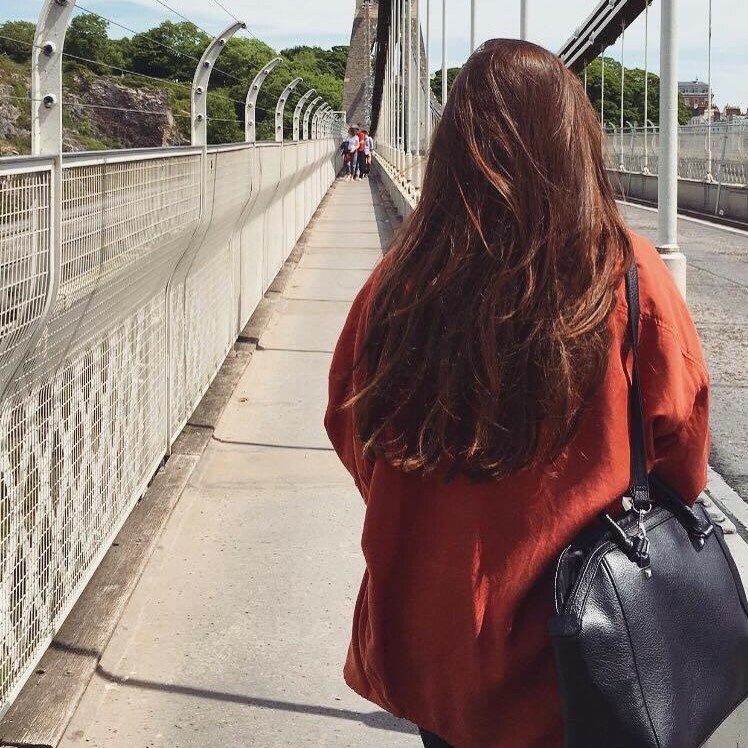 I chose the rose gold colour because it is my favourite metal of all – it looks softer than silver or gold. 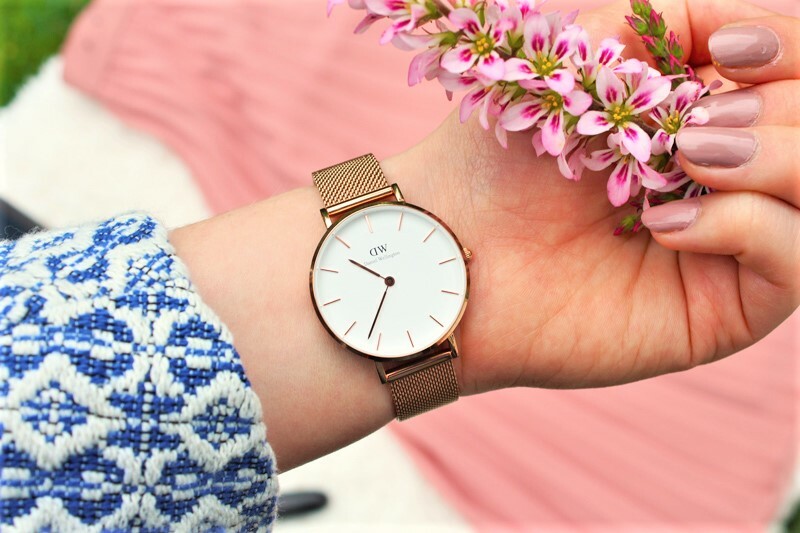 My favourite feature of this watch is the adjustable strap – I have quite petite wrists and usually need to go to a jewellers to have my watches resized or have links taken out. With this watch, you can easily adjust it yourself to get the perfect size. I have been wearing it to work every day – it feels sleek and classy for during the day, for office-wear. It looks beautiful paired with casual outfits or for evenings too. The rose gold colour looks gorgeous when clashed with silver too, so I love layering it up with different bracelets. Daniel Wellington have very kindly provided me with a 15% off discount code for their website for you to use. Simply use the code ‘MARBLEBEAUTY15’ to receive the discount at the checkout. They have a very beautiful collection on their site, with lots of styles and colour options. Disclaimer: This post is a collaboration with Daniel Wellington and contains a gifted item. This post is not sponsored, and does not contain affiliate links. It’s such a beautiful watch! OMG I am obsessed with them! They’re so cute! This watch is so stunning! Daniel Wellington has the most gorgeous pieces.